As a bowling alley owner, it is important that you find ways to attract new customers while also retaining your most loyal clientele. One method of communication that does both is SMS marketing. Use it to promote your events and bring in new business while also keeping your league members and other loyal customers informed of events and other pertinent information. The following provide a few key ways to incorporate texting into your marketing strategy to increase business and reach your business goals. Offer a free game for those who join your text marketing program. 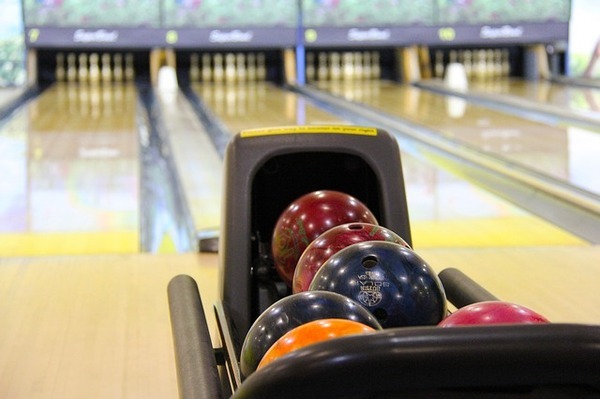 To attract and engage customers who occasionally visit your bowling alley and turn them into more regular patrons, it is important to remain in continual contact with them. One way to do this is to get them signed up for your SMS marketing program. By instantly rewarding them for doing so with a discount, such as a free game or free shoe rental, then they have motivation for opting in to your program. If you advertise your text marketing program and offer an immediate discount in your bowling alley near the entrance and point of sale, then you motivate those looking to save money that night to sign up for the instant discount. Then, you have them on your list and continue to provide deals through regular messages that entice them to come in again. People carry their cell phones with them everywhere, which is just one reason that SMS marketing has an amazing 99 percent open rate with most texts read within just three minutes. Take advantage of this by sending out limited time offers and last minute deals. The time restrictions further motivate people to take action right away. You can do this with scheduled deals that are part of your overall strategy, and you can also take advantage of this to turn around a slow night. When you feel that you want to boost your attendance on a particular night, send out a last-minute, limited-time deal to your subscribers. They will be more likely to choose you when they determine what to do that night with their friends and family members. Although SMS marketing plays a key role in driving business through discounts and promotion, it also provides space to communicate with your customers. It is important that the messages you send to your customers always include something of value, which could be more than just a discount or offer. This includes information on your special events, such as nights where you offer cosmic bowling, karaoke, live music, or anything else. It is also beneficial to send messages that remind people of these events so they do not forget and miss out, and so you have a higher attendance for that night. A significant portion of your customers are already regulars, and some might also be part of league play. One way to do this is to target a particular group of clients with league promotion. Text marketing makes it easy to group your members and send targeted messages. You use demographic and behavior pattern data to determine which clients are most likely to be interested in joining the league. Then, create messages that promote the league and possibly provide discounts for new members or teams to join. This helps drive your league membership, which, in turn, helps your overall business. You have the ability to create as many groups as you want out of your SMS marketing subscribers. You can use these groups to develop targeted messages that have a higher impact. One group that can be a key component of any texting program is a VIP group. In this group, include your most loyal customers. Then, send out exclusive deals, discounts, and other rewards to them. This could create interest and desire for customers to reach the level to become a VIP member and likewise receive these discounts and rewards. This, in turn, drives repeat business, which boosts your bottom line. People can text from anywhere, which is why it is such a powerful CTA. SMS marketing is not just about the messages you send to subscribers, although that is important. It is also about offering a simple call to action to add to all of your marketing and advertising ventures. You can simply add a keyword and short code to any ad, whether in print, online, or on TV. When people see the ad, they just pull out their phone and text a keyword to get more information about your bowling alley or to sign up to receive a discount. Texting has eight times the engagement rate of email and is one of the best calls to action from which to choose. This helps all of your marketing efforts have a stronger outcome. Contact us to learn more about how to incorporate texting in your bowling alley marketing strategy. Karaoke bars compete with nightclubs, pubs, bars, restaurants and comedy clubs for being the place to spend a fun evening. 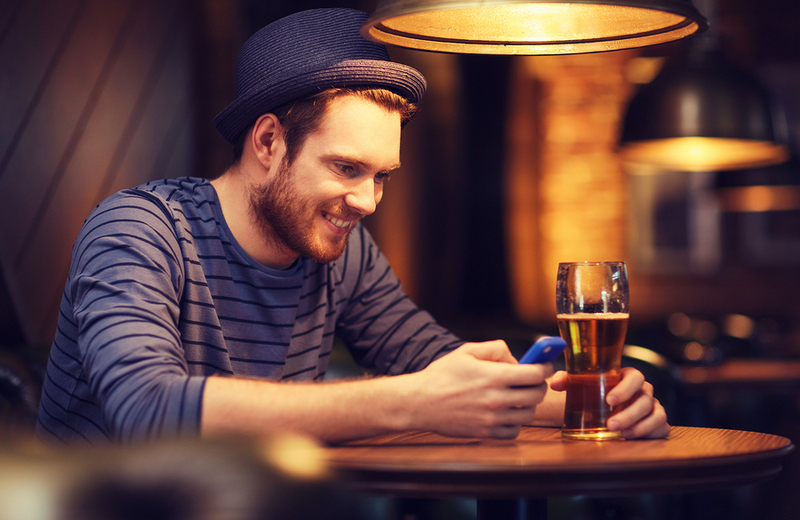 One way to attract customers to your bar is through text message marketing. 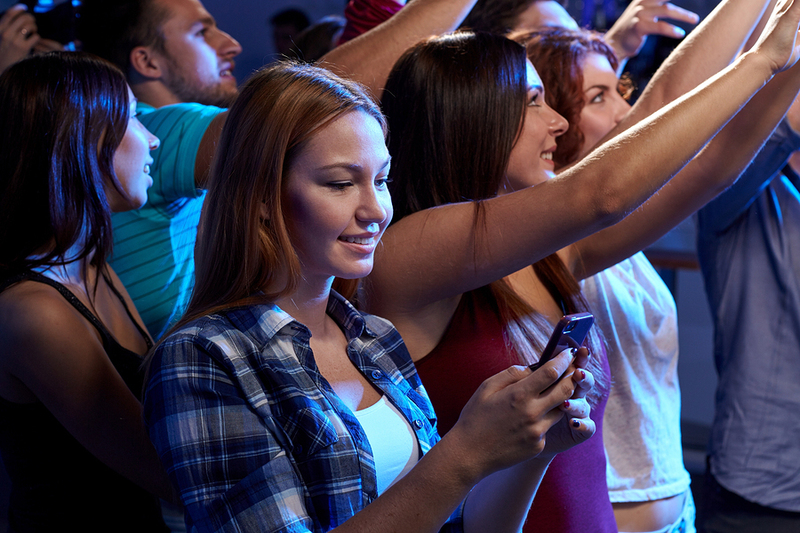 Whether you have a dedicated karaoke bar or just special nights reserved for the event, your business can see a positive boost with the addition of texting. If you are hesitating to add this versatile marketing channel to your strategy, the following benefits of SMS marketing might be the thing to get you to act. Adding the information about your text message marketing program to your advertisement and promotional materials increases the success of your campaign. People carry their cell phones with them everywhere, rarely having them outside of an arm's reach. This makes it very easy for them to see an ad, whether on TV, in a magazine, on a bus, on a billboard, or anywhere else, and take action in that same moment. They only have to grab their phone and text for more information. That is why texting is one of the best calls to action to use. Text message marketing has eight times the engagement rate than email. One of the main reasons it has such a high engagement rate is due to the relationship people still have with texts. The perception remains more personal than email, so people are much more likely to check the messages right away. Plus, people are more selective in determining which campaigns to opt in to. This means that they will be more active and engaged because they already have a personal interest and investment in your company. Because people still respond quickly to text message marketing, it is the perfect avenue for last minute deals. Over 98 percent of texts are opened, and a significant majority is read within just a few minutes. You can take advantage of this on a slow night. Once you feel that your club might need a boost that night, you can send out a text to your subscribers offering them something special, such as a discount on entry fees, food, beverages or something else. People will read the message and can respond right away, especially if they know that the offer is only good for that night. As a karaoke bar, it is important to find new customers every night. One way to do this is to have promotional flyers outside your venue to take advantage of the foot traffic passing by your bar. On these flyers, offer a discount that people can get that night if they text in. This will further motivate passersby to choose your venue for their night out over your competition. Around 90 percent of Americans own an SMS-enabled cell phone. This provides you with a very large audience of people with diverse demographics, background, and behavior patterns. Although you have to reserve your texts for those who actually opt in to your program, almost anyone is a potential subscriber. Not everyone has immediate access to email, social media, and other typical subscription programs. Therefore, you already are working with a larger pool of potential customers, and with the right promotion, you can capitalize on that to increase your opt ins and gain from the additional benefits of the program. These are just a few of the lucrative benefits of utilizing a text message marketing program. With the right strategy in place, you can increase your karaoke bar's business. With text marketing's relatively low cost, you also gain the benefits without having to use too much of your marketing budget. Ready to promote your karaoke bar's next event and increase business? Try ClubTexting for free. Texting does not just have to be used for private communication or marketing; it also has a role in communication for religious organizations. As a synagogue, you want to find ways to let your members know about events and other important information. Group texting provides you with a way to easily reach everyone to improve your attendance numbers. If you are wondering whether or not you can benefit from the service, the following should help you to make your decision. Text messages are typically opened within just a few minutes of receipt. Plus, most people have their phones with them at all times, even when heading to the temple for service or an event. This makes group texting the perfect avenue for sending out any last minute changes. Perhaps you need to push back the time or something happened to the location, so you have to change venues. There are many things that could come up at the last minute and affect your events. By sending out texts, rather than emails, you can feel more confident in letting the most people know about the changes, reducing the chance that someone might get left behind. People's schedules are packed full of events in the busy world of today. This can make it easy for people to forget about services or events at your temple. One way to increase attendance is simply by reminding people about the event. The best reminders arrive at a time close to the actual event, leaving little chance for another lapse in memory. Because texts are read so quickly, they make a good avenue for reminders as well as last minute changes. Plus, with a high open rate of almost 100 percent, you can feel more confident that your group texting subscribers actually read the message. Group texting is not just about sending reminders and alerts to your active members; it also allows you a medium through which to remain in touch with inactive members. You can send these members messages that just let them know you still care about them, and that they are welcome whenever they are able to make it to an event or service. As they continue to receive messages, they will know that, despite their long absence, they still have a place in your congregation. This increases the chance that when they are ready to come back, they will. Adding group texting can help to engage your members outside temple, and even during services. One aspect of your program could be to receive texts with prayer requests, concerns and other feelings from the congregation that can be anonymously used during the service. People can text even during your service, thereby feeling more engaged. They also will be more engaged throughout the week, increasing the chance they will make a habit of attending temple. Most likely, your temple has several social and service groups with a wide range of members, depending on how popular the group may be. It can sometimes be difficult to ensure that everyone interested in the different groups receives the communication. Group texting makes it easy to divide your subscriber list into several smaller groups. You can even put one person into multiple groups. Then, you simply send pertinent messages to the interested members. 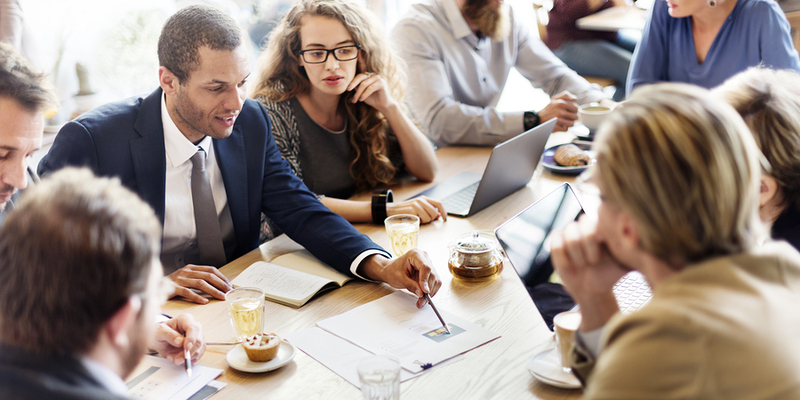 Depending on the situation and numbers, you can also have your group leaders in charge of the messages related to the particular group to ensure the right people receive the right messages. Text messaging has become an increasingly popular way for people to communicate. 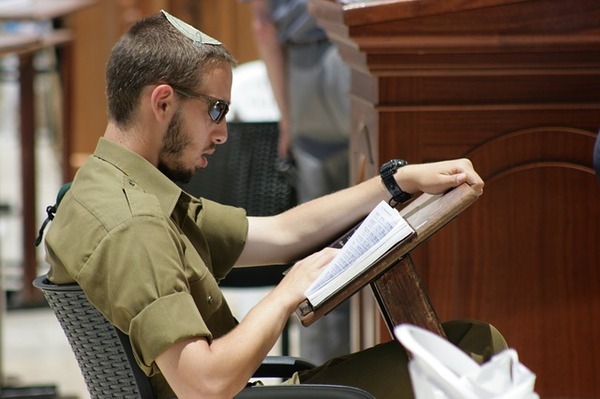 As a synagogue, you can take advantage of the high engagement rate and open rate to send important messages to your members so that no one is left out. Its relatively low cost also makes it easy to fit into most budgets. Contact us to learn more about how to use group texting to communicate with your congregation. When you create your SMS marketing program, one important tool will be your auto response messages. These are messages that are sent to your subscribers after they send a certain keyword to you. The most common one is a confirmation and a "thank you" for opting into the campaign, but you may find you have other uses for them. To increase the efficacy of these messages, it is important you include the right information in the right format. The following tips can help you to create dynamite auto response messages to increase the success of your text marketing campaign. Text messages have a limit of 160 characters. Although some new smartphones may display longer texts as one message, they are still sent as separate texts divided into 160 characters. When you create a message longer than the standard length, you raise the chance of running into problems. It could be sent as more than one message in the wrong order, leading to confusion. It also might lead to additional charges to your customers, which will not be appreciated and could lead to increased opt-out rates. It also appears less professional than a shorter text. Text messaging is, by definition, a concise communication medium, so create responses that adhere to that. If you have more to say, includr a link to a web page with additional information. Even though the message is a response to an action taken by a current or prospective customer, there is no guarantee that he or she will remember to whom the short code of phone number belongs when the response is sent. Therefore, it is important that you always include sufficient space within the 160 characters to sign the message to make it clear with whom they are corresponding. This also makes it easier for customers to take action, such as redeeming a coupon. SMS marketing is a permission-based communication medium. By law, it is required that you not only get written permission from consumers that they wish to receive messages (which includes an opt-in text), but you also must regularly provide information on how to opt-out. This does not need to take too many of your precious characters, as all you need is to state something similar to "text STOP to opt out." It is also helpful to include other options, such as HELP for help, and more information, such as message and data rates may apply and a link to the further terms and conditions. You do not have to include these in every single one of your regular texts, as long as you do so regularly. However, if you are sending an auto-response from a particular keyword, it is beneficial to include these terms, since it may be the first time someone receives a message from you. When you send an automatic response to a keyword, it is important you include content of value to the customer. For confirmation auto responses, it is beneficial to provide some sort of reward for opting in, such as a coupon or other offer. For keywords other than your opt-in keyword, consider the reasons why people may choose to send that keyword to your program. Then, develop content that matches those reasons. For example, when the keyword is a question or other inquiry, include the answer in the response. Value of content is one of the most important aspects of any successful text message program. This should include all messages, including those that are part of an auto-response. No matter what type of response you send to your customers, it should always include some type of call to action. This increases your engagement and conversion rates. Whether this call to action is to buy, click, respond or something else, it provides clear instructions to your customers about what they need to do. Even if your auto response is in reply to a customer service inquiry that states that someone will get in touch with the customer soon, it should still include some type of action. This could be responding with another keyword to cancel the inquiry or a link to click for more information. A call to action increases the interaction between you and the customers, which, in turn, helps improve the success of your overall SMS marketing program. SMS marketing has numerous benefits, including a high open and engagement rate. One key aspect of this marketing channel is its ability to send automatic messages in response to certain keywords. Taking the time to develop a very strong and clear response message helps improve your overall success rates. Ready to set up your auto-response texts and start your SMS marketing program? Try ClubTexting for free. Many businesses have adopted texting as a way to engage with customers to boost their business. Comedy clubs can benefit from the numerous advantages of SMS marketing, including a high open rate and engagement rate. If you are looking for ways to include this type of marketing in your comedy club, then you want to be sure you create the best content. The following messages are just a few ideas you can use to jump start a dynamite text marketing campaign. Deals and discounts are always a popular option no matter what business you are in. For comedy clubs, getting people in the door to buy food and drinks can help to increase your business. Sending a message that offers a free drink with purchase provides your guests an incentive to come to your club. This can be the purchase of a meal, entry tickets, or a BOGO free drink special. 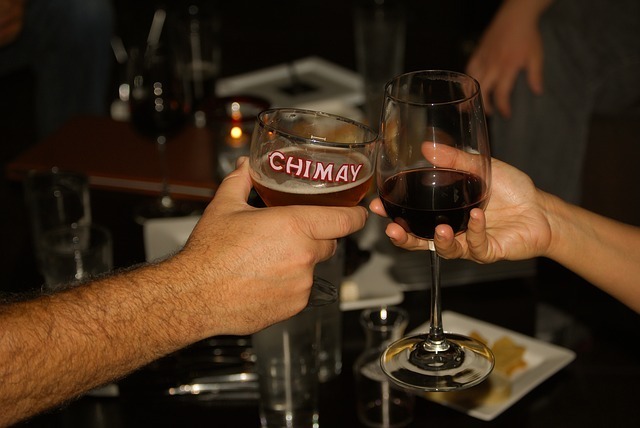 Once your guests have one drink, they are more likely to order and pay for another drink, helping increase your revenue. Some comedy clubs have assigned seating, but most offer seating on a first come, first serve basis. For your SMS marketing subscribers, you can create a special seating area near the front of the stage. Upon showing the text message, your loyal subscribers have a chance to get VIP seating, even if they come later in the evening. This works well as a way to reward your most loyal customers. With your text marketing platform, you have the ability to group your subscribers based on their demographics and behavior patterns. One group can include your loyal customers to whom you send additional incentives and rewards beyond just VIP seating. Another highly popular offer to send through SMS marketing is a discount on the entry fee. Once you get people into your comedy club, you have other avenues of sales, including food and drinks. Most clubs make the bulk of their profits from drinks rather than entry tickets. This makes this type of coupon one of the best to send out. It minimizes the loss to your club due to the discount, and it is highly attractive to customers. SMS marketing is the perfect forum for sending out event reminders to your guests and potential guests. Around 98 percent of text messages are read. Most of the time that is within just a few minutes. This means that you can send reminders out the day of the show and feel confident that your subscribers saw the message. This helps increase attendance, since people will have less time to forget about the show. Event reminders also work well as customer service initiatives to remind those who pre-ordered tickets to their event so that they do not miss out. 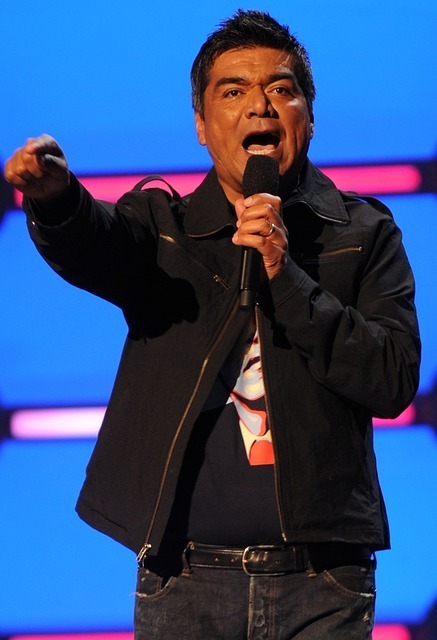 Another message to send your comedy club patrons is a link to exclusive pre-sale opportunities to get tickets to shows. This works especially well for shows that are sure to sell out quickly. Your subscribers, especially your loyal members, can get a chance to get their tickets before you sell out so that they do not miss out. Although you can always offer pre-sale tickets through your text marketing campaign, you will see it work better when you use it for the big names heading to your club. These are just a few examples of some messages you can send to your comedy club patrons to capitalize on the benefits of SMS marketing to increase your club's profits. When developing messages of your own, consider what your customers would most want from you. It is important that you concentrate on sending messages of value to your customers, and that those messages remain exclusive to the medium. Ready to see how texting can help your comedy club increase its business? Try ClubTexting for free. 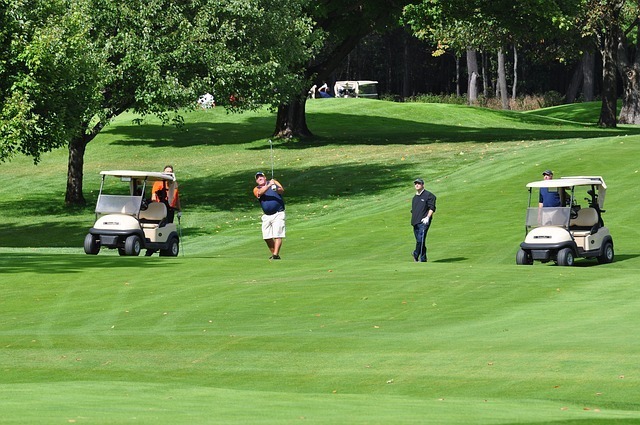 Can Group Texting Help Your Country Club's Business? Group texting provides you with a powerful promotional tool to help your membership drives. It is easy to add to all your marketing and advertisement collateral. Simply include a keyword and short code with basic instructions for prospective members to text for more information. Text messaging is one of the most powerful calls to action, and it is versatile enough to work in any medium. Many people always have their phones with them, so no matter when, how, and where they see the ad, they can easily text for more information. You can leverage the same benefits even with your current members to promote events, fundraisers, classes and other events at your club. On your promotional material, include information about your group texting program. Members can text for more information, which, in turn, increases the chance that they will join in. Customer service is an essential aspect of any successful country club. Your members expect the best. By offering group texting, you can provide it to them. Your texting program does not have to just be a one-way marketing channel. It works very well as a forum for members to contact you with questions and/or problems. A majority of consumers prefer using texting for customer service inquiries. Simply by offering it, you can improve your customer service ratings because you are available, no matter what method customers choose to use to contact you. Another way that group texting can help your country club business is by working as a communication channel for members. Those who opt-in to the program can be reminded about their reservations, appointments, classes and other events at your club. You can send out important membership information to your subscribers, such as emergency alerts, unforeseen closures, construction updates and more. Informed members are happy members, which increases the chance they will renew their membership for another year. Group texting has a high open rate and engagement rate, making it a powerful communication and marketing channel. You can capitalize on this in your country club by using it to promote your club, send out discounts to prospective and current members, and improve your customer service. This, in turn, boosts your business and helps you to provide the type of service you strive to give. Contact us to learn more about how you can include text messaging in your comprehensive marketing strategy to increase membership to your country club. Soccer has become a popular youth sport in America. As with any team sport, it is important to find efficient ways to communicate with team members, their parents, and fans. One way to do this is group texting. Mass text message services are not just for businesses or professional sports; community leagues and youth soccer teams can benefit from many of the same lucrative features as professional teams or businesses. If you are unsure whether or not to implement this cost-effective communication and marketing channel, the following reasons may help you to make up your mind. 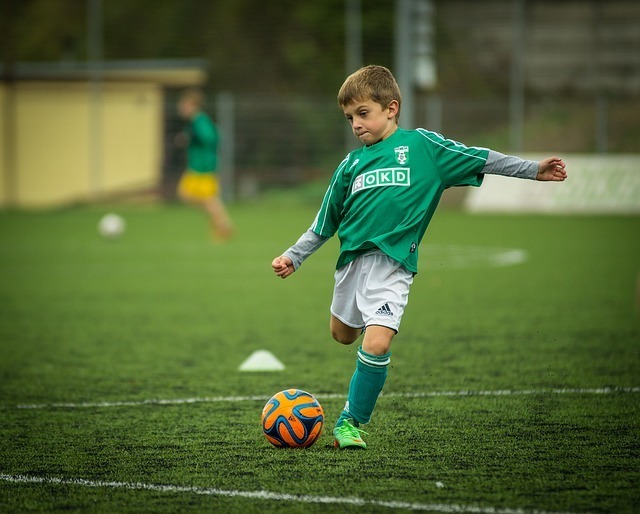 For your youth soccer league to run smoothly and efficiently, it is important that everyone receives the relevant information about their teams and/or the league. Therefore, you need to find an avenue of communication that reaches the widest audience possible: text messaging. In America, 90 percent of adults own a cell phone, of which, the vast majority is enabled for SMS messages, and roughly 81 percent text at least once per month. This is a much higher number than those who have a social media account or immediate access to the Internet, which is why it is the perfect medium for ensuring that everyone in your league receives necessary information. Another reason to incorporate group texting for your youth soccer league is that it helps you and your coaches keep the teams organized. It is possible to create groups out of your subscribers and send each group a targeted message. You can categorize your subscribers by the team, and then you and/or the coaches can send out team schedules, practice and game reminders, and other updates. This helps your league remained organized so that everything runs smoothly and the kids can focus on enjoying playing soccer. Most people carry their cell phones with them at all times and hardly ever keep them further than an arm's length away. Additionally, most text messages are open and read within three minutes of receipt. You can take advantage of this with group texting for your youth soccer league. You can send out last minute game or practice changes or cancellations or other updates. If there is any sort of weather emergency or some other unforeseen event, you can send out information instantly to the parents, players, coaches, referees, fans and anyone else on your texting subscriber list. A youth soccer league has the potential to get the entire community involved, not just the parents and players. One way to help with this is to implement a group texting program that includes your fans. You send out updates about games, as well as stats of certain players. Your community can remain updated on the activities of your league to make it easy for them to come out and support the players. 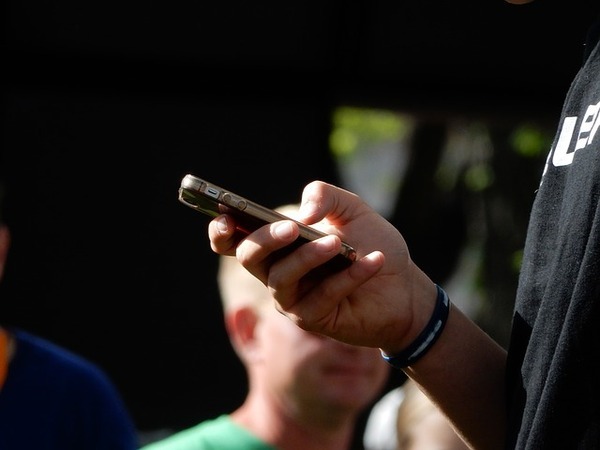 When they receive a text message about a game, it will remind them to go cheer for their teams, increasing the number of non-family spectators in the crowd. Some youth soccer programs heavily rely on fundraising to help fund the sport. Group texting assists you in raising money. You can text your subscribers information about how to donate money, including texting a direct link to your fundraising page. When you run a fundraising event, send out a text to your subscribers to remind them to come by and chip in. Also, use your texting program to recruit and organize volunteers to help run your fundraising campaigns or other events. Integrating group texting to your communication for your youth soccer league can help to improve your communication and create a more efficient league. With the permission of your subscribers, you can send out updates and relevant information to keep everyone up to date on what is happening. Ready to see how easy it is to keep your league organized? Try ClubTexting for free. You launched your text message marketing program and saw an impressive response. For weeks and months, your subscriber numbers rapidly rose and you experienced high engagement rate numbers. Then, it started to slow down and eventually plateaued. Now, your program sees little gain, and you feel as though you are stuck in a rut. If this describes you, then do not fear. There are ways to get out of this marketing rut and, once again, see positive results from your campaign. The first action to take to get yourself out of a text message marketing rut is to review your current campaign. Your analytics provide a wealth of information. See what types of messages had the most impact, and which had the least. See if the time you send your messages is inconvenient based on the open rates. Your opt-out rates may tell you if you send messages to frequently, or if the type of messages you send are inappropriate for the audience. The analytics also show you where your program started to plateau or drop, which may provide you some insight into possible problems that may have developed. You might also find that you are not integrating your program with your other channels as well as you could. Now that you have an idea of the intricacies of your current campaign, it is time to start asking yourself some questions to try to understand what changes need to be implemented. Think about what types of messages had the best response. Discount offers tend to be powerful messages, but people still respond differently to different discounts. 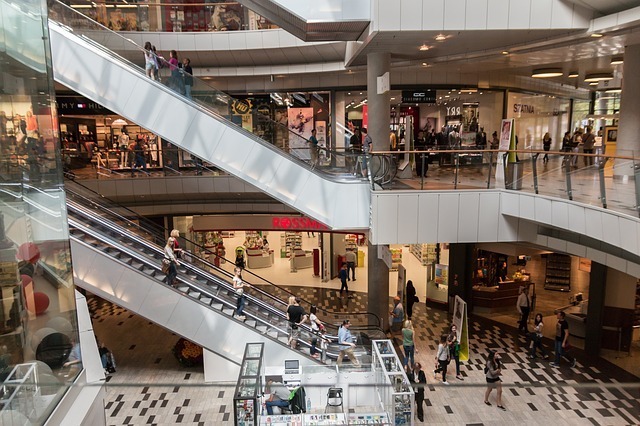 Your analytics will shine a light on which type of discount had the greatest response, whether it was a particular percentage off, something for free, or a monetary discount. Your audience may prefer to get something free rather than getting $5 off. Consider any popular products that you could better leverage to get improved results from your program. Ask yourself about your typical customer's demographics and behavior patterns, as well as that of your target audience. This helps you determine whether the messages you send have value to your subscribers. Evaluate your goals and see if they remain valid or need to change. When you find your program faltering, it may be time to do some additional market research. Even if you spent a lot of time looking into the behavior patterns, expectations, wants and demographics of your target audience before you began, it is important to do some additional research when you find yourself in a rut. Your intended audience may have changed, making the messages no longer have the same value. There might be another audience prime for targeting to get new subscribers to your list as well. You most likely will not have to do as much market research as you did at the start of your program, but you will find it helpful to spend at least some time re-evaluating the needs and wants of your customers. You might review your program and not see any big problems or issues that could explain the change in the success of the program. It might be that your customers have simply become complacent or you have neared the saturation point for your current audience. To shake things up, try out some new message types. If you always send out coupons or deals, try running a contest of some sort. Set up a group of your most loyal customers and offer them exclusive access to sales, such as the opportunity to buy the items at a discount before anyone else. Send out surveys or polls to increase interaction and gain insight into what your customers want. Even if you wish to only send out one type of messages, such as offers and deals, try out some new varieties on the offers, such as flash sales or limited time offers, to give it a fresh look. One reason that your program may be faltering could be that your calls to action may not be strong enough. Perhaps you are using the wrong words or location within your message for the best efficacy. Or, your CTA might not be clear and concise. Create a sense of urgency so that your customers act now. This might mean that you need to send out offers with a shorter expiration date or utilize language that better motivates people to take action. It may take some trial and error to find new CTAs that work as you want them to. In the long run, it will be worth it to discover the best ones for your company to use. You can get your company out of a text message marketing rut, but be prepared for it to take some time and effort. SMS marketing, like all marketing programs, changes and evolve over time. If you do not take action to keep it fresh and new, you will find that a once-successful program will start to falter. Instead of letting this happen, spend time evaluating your current program and finding ways to adjust it to meet the new needs of your customers to keep them happy and engaged. Here comes the Call to Action. Wait for it . . . Contact us to learn more about the different campaigns you can run to keep your program fresh and exciting for your customers. Do it now! Not tomorrow. Now! SMS marketing is a powerful tool for any marketing campaign. It has a high open rate, has a high engagement rate, and is liked by most customers. However, as with any medium, there is the potential for disaster. By knowing the most common mistakes companies make, you can learn to avoid them and improve the chances of your campaign's success. The following are the worst mistakes you can make, along with some simple tips on the best way to avoid making them for a more successful campaign. One of the easiest mistakes to make when you start an SMS marketing campaign is to use the wrong frequency at which you send messages. If you send them too frequently, such as every day, then your subscribers may feel bombarded with texts and decide to opt out. However, if you only use text marketing as a one-off marketing campaign, then you miss out on many of the advantages of the medium. To avoid both of these mistakes, you need to find a frequency that works well with your campaign by monitoring your analytics. Generally, the ideal frequency is between two and four texts per month. Another common mistake is to send the wrong type of message to your consumers. One of the most important aspects of any successful campaign is that it offers something of value to the customers. If you send messages that your subscribers do not want to receive, then they will opt out in droves, and you will also have a hard time getting people to sign up. That is why it is important to undertake market research prior to starting your campaign and do some test runs before a larger launch of your program. This gives you the information you need to develop valuable content that your customers will actually want to receive. SMS marketing works well as part of a multi-channel integrated marketing strategy. In this scenario, you will have several channels through which you communicate with your customers, such as email and social media. If you send the same message to your followers and subscribers on every medium, then you lose the chance to have the same customer signed up on multiple channels. To keep more text message subscribers, it is essential that you send out exclusive content to the medium. You also want to avoid sending out the same message every time. This reduces the motivation for your customers to take action because they know that they will receive the same coupon at a later date. The most detrimental mistake you can make in your SMS marketing campaign is to send messages to people for which you do not have permission. This not only potentially annoys and frustrates customers; it is also against the law. You must have written permission from your subscribers that they wish to receive the type of messages at the frequency you plan. To avoid this mistake, simply be clear about your program when people opt in, make it easy to opt out, and send out information to your subscribers any time you make changes to the frequency or other aspects of your program. When you only have 160 characters through which to create a message, it can be tempting to use abbreviations and text speech. However, this makes your text message appear unprofessional and might create confusion for some subscribers. Therefore, you want to always use the full words except for well-known abbreviations that would make sense in any marketing medium, such as the abbreviations for states. Another common mistake companies make when they first start out with an SMS marketing campaign is that they send out the messages at the wrong time. Texts are an interruption, so you want to be sure that it is a positive one for your customers. This means you should avoid sending messages at times that may be inconvenient, such as early in the morning, late at night and during rush hour. For some businesses, it may be best to avoid sending messages on the weekend as well. When you send out a text message to your customers, it is important that it includes a call to action. If there is not a clear CTA, then your customers do not know what action you wish them to take, whether it is signing up for something, shopping for your products or using your services. You should have a CTA in your messages that is as prevalent and clear as the ones in your other marketing channels. By avoiding these common mistakes, you will create a stronger, more successful SMS marketing program. Even when you take precautions against common issues, it may take some trial and error before you find the perfect set up for your SMS marketing campaign that best matches the wants and needs of your customers. 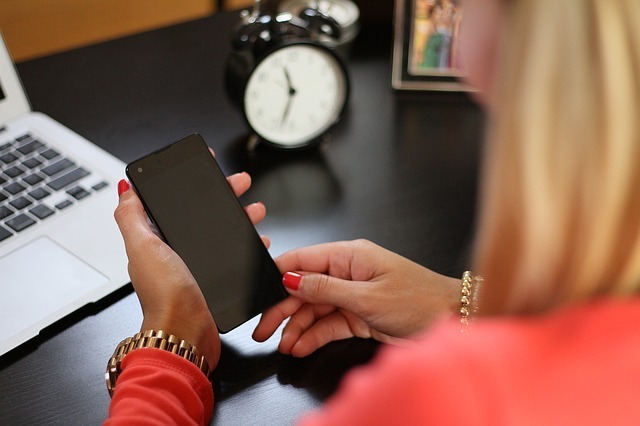 Are you ready to start a text message marketing campaign that avoids these common mistakes? If so, try ClubTexting for free. By the way - this is our Call to Action for you! One important aspect of the hotel business is the customer experience. From the time your customer books until the day they return home, you want to ensure that your customers have a positive experience. One way to improve your customer service and offer more for your customers is to use text message marketing. 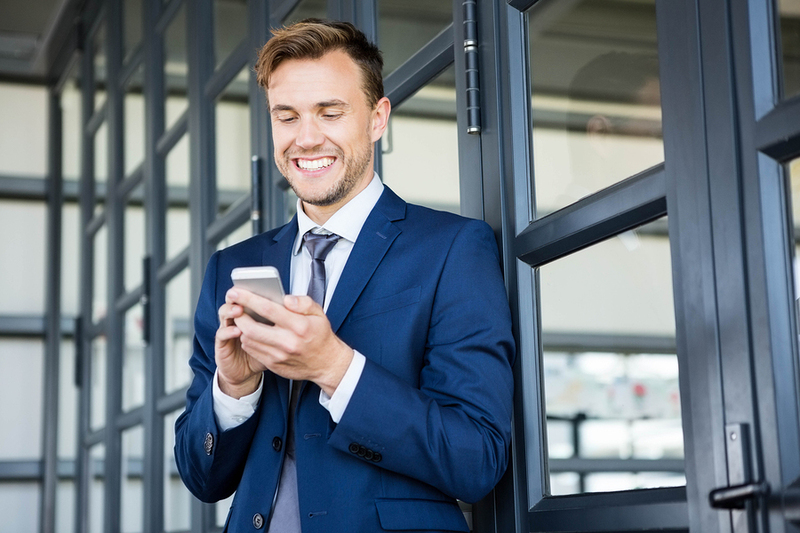 There are several ways to integrate texting into your hotel's customer service and marketing initiatives to help increase your business and enhance your customers' stay at your hotel. Customer service is an integral part of the hotel business, and text message marketing offers you another avenue through which to help your customers. A majority of consumers prefer using text messages for customer service inquiries and complaints, so it is beneficial to offer this service along with your other channels of communication so that people can choose the method to contact you that they prefer. With the right program in place, your guests can also text you when they need maid service, additional pillows or anything else to enhance their stay. You can use this to remind guests about their reservation and confirm any purchases or reservations, whether for rooms or in-house services, such as a spa appointment. You can also integrate your concierge services with your texting program. People can text a particular number with a short code if they want to book in-house services, tours, events, or other activities. Your concierge can contact them to get the details and then confirm everything once it has been completed. When people come to your hotel, they want a seamless transaction that is convenient to them. One way to offer this is check in and check out through your texting program. Even if you are not able to get them fully checked in or out through the texting app, it is possible to use it to expedite the process. Your guests can text you that they wish to check in, and you can get their details and let them know when the room is ready. Once they receive the text saying the room is complete, they come to your desk to get their keys for check in. A similar strategy can streamline the checkout process. To take full advantage of the benefits that text message marketing offers, it is essential to group your subscribers and send targeted messages. You can send offers and discounts to previous customers and potential guests to get them to book a stay. For those who have reservations, you can send reminders and tips to enhance their stay. It is also important to create a special group for your most loyal guests and send them special, exclusive deals, discounts, and free gifts. You can target messages based on guest demographics and behavior. You send select messages to those who book for business trips and other messages to those who come on leisure trips to help both groups of guests get the most out of their stay. For your hotel to continue to offer the best customer service, it is important you know what your guests expect, need, and prefer. One way to discover this information is by sending surveys and polls to your text message marketing subscribers. Texting polls are the easiest way to get feedback. You simply have to ask a question and offer a few keywords from which your subscribers can choose an answer. They text you a keyword to vote, and the keyword with the most texts wins. You can follow this with a link to a longer survey for a more in-depth look at what your customers want. With this information, you can ensure that you continue to offer the best customer experience for your guests. Text message marketing has a powerful role in helping improve the overall guest experience, but it also can be used to market and promote your hotel to future guests. It acts as a powerful call to action that you can put on all your marketing material to increase the number of people to take any type of action. It also has a high open rate with most people taking action within minutes. This makes it the perfect avenue for sending out last-minute deals to try to fill your hotel during a slow period. You can also send out periodic deals to your subscribers to motivate them to book another stay with your hotel. Text message marketing is a highly versatile tool that helps improve your hotel's business and enhance your guests' stay. You can use one or more of the above campaigns to help start your program and, eventually, you will see what works best with your hotel and its customers so that you continue to offer them exactly what they want and need. 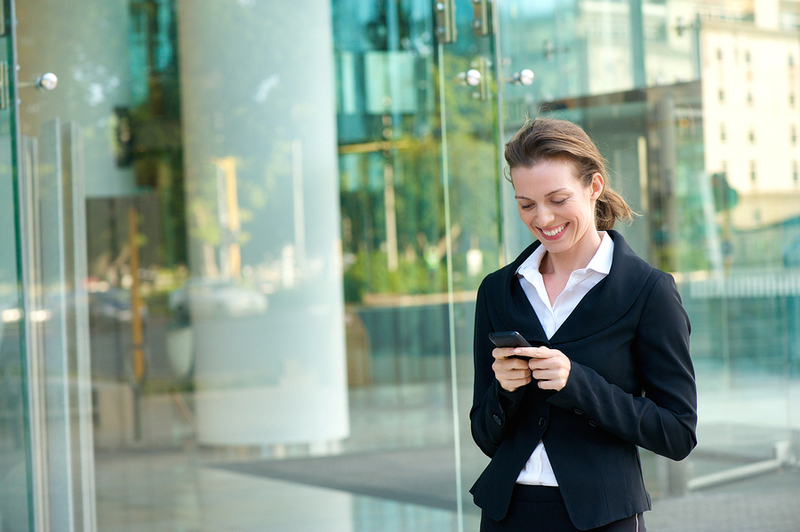 Ready to use text messaging to help your hotel business? Try ClubTexting for free and see how it can enhance the customer experience. 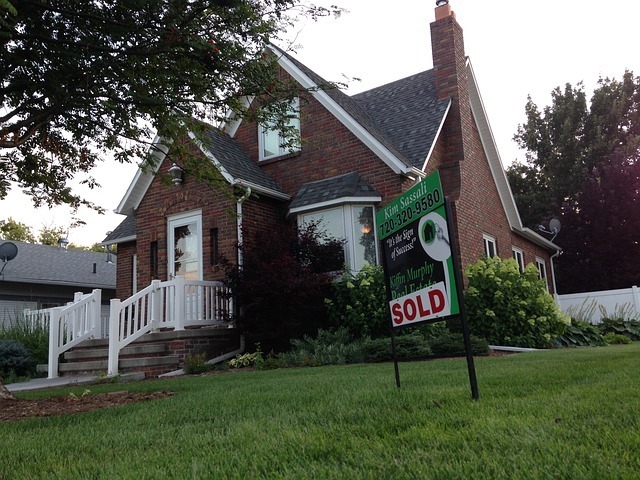 As a real estate agent, it is important to find ways to connect with your clients and make the home buying and/or selling process easier for them. One method to accomplish this is to utilize group texting. There are many different ways that you can leverage this versatile, cost-effective marketing channel to build your client base and retain clients for future business. As a real estate agent, you have personal interaction with your clients several times during the extent of your professional relationship. This could last for weeks or months as you work to find them their perfect home or sell their property. This makes it that much more important that you provide the best customer service possible. 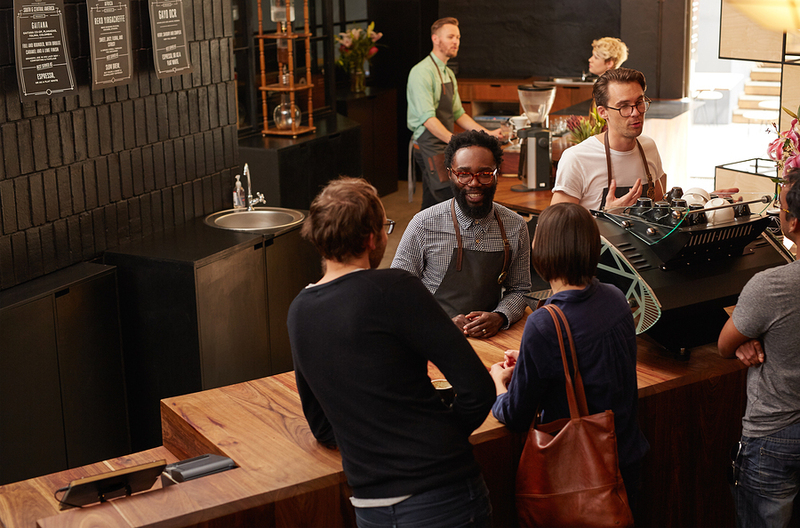 Adding simple ways to improve your customer service can help you to stand out from the competition and increase the number of referrals your clients provide. Communication is one of the most important components of customer service. Group texting offers an easy to use way to interact with your client. You can text them updates on their listing or other information they need to know. It is a two-way communication channel, so your clients can send you questions they may have as soon as they think of them. Finding the perfect home or other property for your clients can be tough, especially in areas with limited supply. This makes it that much more important that you let your clients know about any potential listings as soon as they become available. Text messages have a much higher open rate and response rate than email and other methods of communication. By using group texting to inform your clients about new listings, you can be confident they will receive the message in real time. This might make the difference in securing a showing of the property before it leaves the market. Another way that group texting helps your real estate business is through sending out confirmation texts for your appointments. This reduces the number of no-shows you experience, saving you time and money. You can use texts to communicate with clients selling property to remind them about a showing or confirm with other real estate agents about any potential meetings or showings. This will help your business run smoother which, in turn, provides a better customer experience, leading to a higher number of satisfied clients. It is important to build long-lasting relationships with your customers so that, when they decide they are once again in the market to buy and/or sell their home, they will think of you. Group texting can help you to have continued interaction with clients. You can send home improvement tips, home buying and selling tips, and other messages of value to your clients. It is possible to divide your subscribers into those who are selling, those who are buying, and those who are inactive clients. Then, you send dedicated messages to each group that provide them with helpful hints and other tips. It is beneficial to create partnerships with local businesses offering services to homeowners, such as maid services, carpet cleaning, plumbing, electricians, and moving services. You can send discounts to your clients as a motivation to remain connected to your marketing campaign. This can help to build a positive relationship with the clients so that they not only keep you in mind for when they are in need of a real estate agent, but also when people ask them for referrals. Group texting is a versatile medium that can be used to communicate with clients, enhance customer service, provide offers and tips, and otherwise create a smooth experience for your clients. Buying and selling property can be a stressful experience. It is your job to facilitate the experience and reduce the hassle as much as possible. Group texting can help you to do this. If you would like to see how a group texting program can help your real estate business, try ClubTexting for free. To stand out from the competition, it is important to create a positive customer experience. Many customers now choose which business to patronize based on emotion rather than solely on price and other logical factors. There are many components that help facilitate the overall customer experience, but SMS marketing is a key tool that helps you to boost your business. If you are unsure how to leverage your texting campaign to create a better experience for your customers, then try one of the following. SMS marketing makes it easy to create targeted messages for your customers based on their demographics, behavior patterns, like and dislikes, and other collected data. When you create personalized messages, it enhances the value of the message for the customer by reducing the number of messages that do not apply to them. If every message contains some value, then the customer will continue to have a positive impression of your texting campaign which, in turn, leads to a positive experience with your company. The right messages work to improve your customers' experience because they appreciate the extra effort that companies put in to send personalized messages. SMS marketing is not just about sending messages out to your customers; it is also a great channel for receiving messages. By implementing incoming, you can enhance your customer service. A majority of people prefer to use text messaging for customer service inquiries and comments. It is quick and easy, can be done from anywhere. By offering this as part of a multi-channel customer service initiative, you make it easier for people to contact you with any questions or potential problems. This reduces the amount of time it takes to resolve an issue to the satisfaction of the customer, which helps you to retain a positive relationship even when something goes wrong. Customers like it when businesses provide them with the goods and services for which they ask. With SMS marketing, you can do this, and even take it a step further, to provide them with things they never even knew they needed. It is possible to take the information from your metrics and other market research to create a marketing campaign that better meets the expectations and desires of your customers. You can send out surveys and polls to ensure that you are on the right track with your programs, goods, and services. Keep your customers happy by honoring their wishes and respecting their time. Although your SMS marketing campaign has the capacity to improve the customer experience, it does have the capability to create a negative one. One way that it can lead to annoyed or frustrated customers is if you text them when they have not signed up for the program or have already opted out. It is important that you text only those who opt in and that you honor the choice of those who opt out. You should be very clear about the parameters of your program when people sign up. Not only is this important for a positive customer experience, but it is also the law. Another potential way that your SMS marketing program can go from helpful to harmful is if you text at the wrong time or with too much frequency. You want to be a positive interruption that provides value and occurs at a convenient time for your customers. It is best to not text too early or too late, and avoid rush hour and other times that may be inconvenient for many. If your business serves people in various time zones, make sure that you send the texts out at an appropriate time for each time zone. Don't send messages to your clients too often, as they may get tired of the constant disruption. Aim for texting about two to four times per month. SMS marketing provides a convenient way to communicate with your customers that also improves their experience of shopping at your location or using your services. You can enhance this experience by always providing something of value. With the enhanced customer experience you provide, you can help to build your brand reputation and increase your business, especially the all-important repeat business. Contact us to learn more about how a text message program can help to improve your customers' experience. Can Mass Texting Boost Your Magazine's Readership? It is important to find creative ways to attract new readers to your magazine so that you can continue to prosper. One unlikely, but incredible, tool to use is mass texting. It provides a way to connect with a large number of potential and current readers without breaking your marketing budget. There are many ways to take advantage of these benefits when promoting your magazine to increase your readership. As a magazine, it is essential to create loyal readers. One way to do this is to really engage them, and not just through the articles in your magazine. Mass texting has a very high engagement rate, roughly eight times as high as email. To reach this level of engagement, it is vital that you send messages of value to your text message subscribers so that they feel compelled to take action. 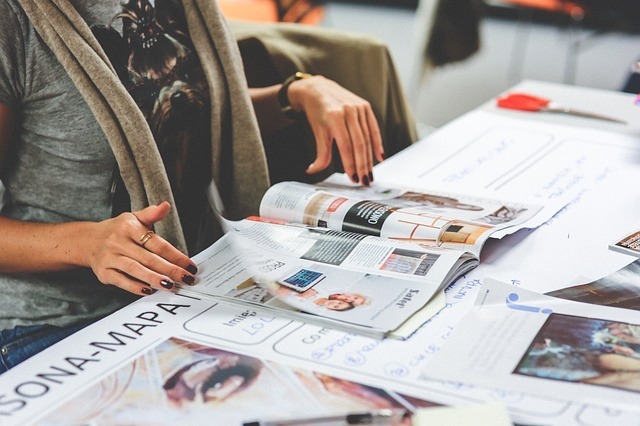 Ultimately, what your audience deems valuable is dependent upon a multitude of factors, including their interests, behaviors, demographics, desires and relationship with your magazine. However, there are a few key factors that subscribers tend to see as valuable. This could include sending offers and deals for your magazine and partners, providing exclusive additional information complementing your latest issue, offering customer service through text and more. Text message marketing also provides a way to help you find new readers to add to your list of subscribers. You can do this through adding a texting call-to-action on your current marketing campaigns. It does not take much space to include it, as you simply need to include your short code along with a keyword. For additional punch, choose a keyword that complements your ad while also attracting attention, such as a witty play on words. People carry their phones almost everywhere, so they can easily respond to your marketing collateral when they see it. Texting has a higher response and action than other call to actions. It gets get customers to take action and engage with your magazine. It can increase the number of interested leads with a high possibility of eventually turning into readers. Use texting as a way to ask your readers what they want to read. Mass texting provides a way to send out surveys and polls to discover what your audience wants to read. The easiest and most efficient way to find out what your audience wants is a texting poll. You ask a question and provide a few keywords to represent each of the possible answers. Then, your audience texts back to vote for their preferred keyword. You see which keyword has the most votes, and that one is the winner. You can do this to poll viewers on a future article, magazine cover and more. If you want more in-depth responses, send your text message subscribers a link to a survey. Offer everyone who answered the poll the opportunity to follow a link to a more in-depth survey. Mass texting provides a great way to engage with potential and current readers to help increase your magazine's business. You can connect with your readership outside of your issues and find ways to ensure that you create content they most want to read. This keeps your subscribers active and increases retention and renewal rates. With the right SMS marketing program in place, you will find that your magazine gains readers and you have a wider reach, helping your overall business. Contact us to learn more about how text marketing has the potential to improve your business and help you connect with your readers. 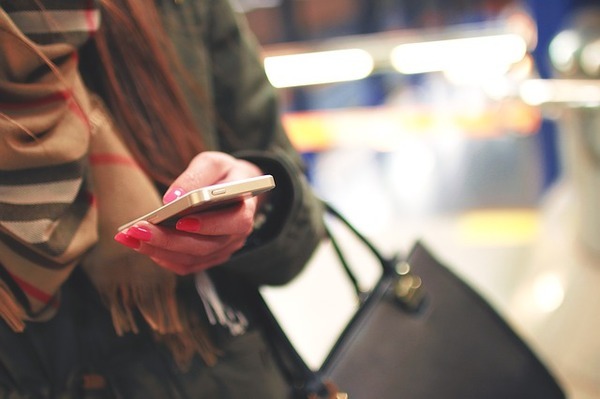 Do Consumers Really Interact with Businesses via Text Message Marketing? Texting has become a popular way for people to interact with one another. In fact, for Millennials, it is quickly surpassing phone calls as the main way to communicate with friends and family, and older generations are similarly adopting texting as a main method of contact. Text message marketing has increasingly become a popular way to try to likewise communicate with consumers. Many businesses feel as though consumers may not really want to interact with businesses through SMS. However, many studies demonstrate the opposite: consumers want to use texting. In America, far fewer businesses interact with consumers through text message marketing. 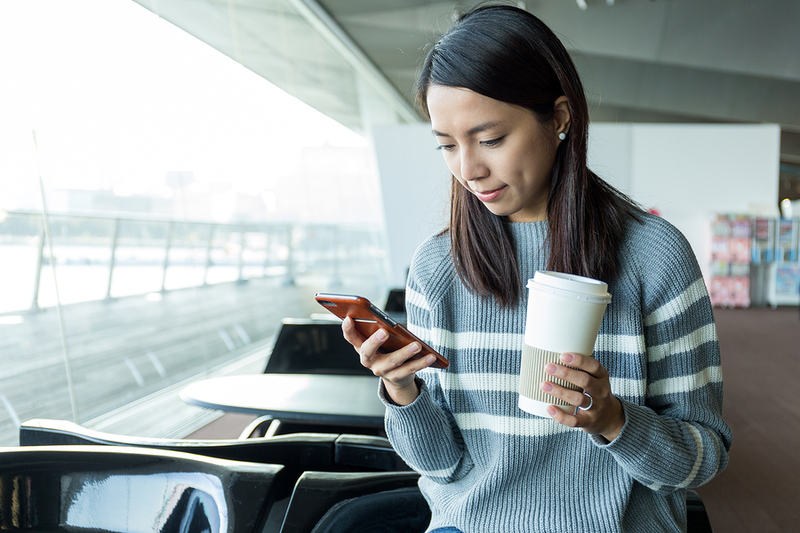 A recent SAP survey found that in the Asia-Pacific market, roughly 22 percent of weekly texts came from businesses, while in the U.S. only about 12 percent were, even though Americans tended to text more. Although this could read as American consumers having less inclination to text, it actually demonstrates the different ways companies in Asia use mobile marketing compared to those in America. 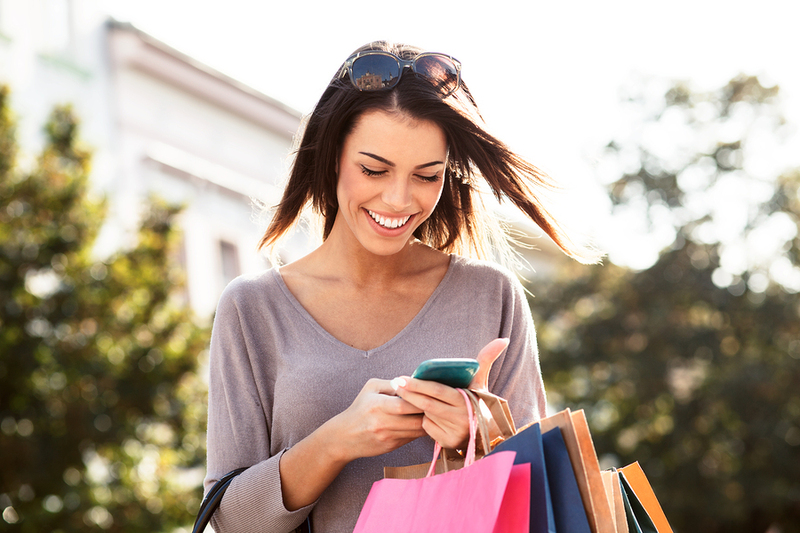 The above SAP study also found that 70 percent of users welcomed SMS interaction with brands. This shows that consumers are ready to start using texting for interaction with businesses. Around 64 percent also feel that businesses should interact with them more than they currently do, and 62 percent would like to use SMS as a way to communicate with organizations. A significant number of consumers would like to communicate with companies through text, and they would be willing to provide their numbers to receive deals and exclusive information. There is also a demand for customer service to be available through text messaging. 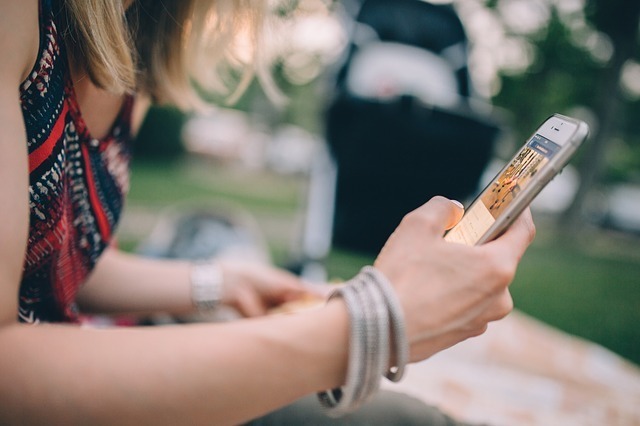 Consumers want to interact with businesses through text message marketing, but often do not because they do not realize that they have the possibility to do so. 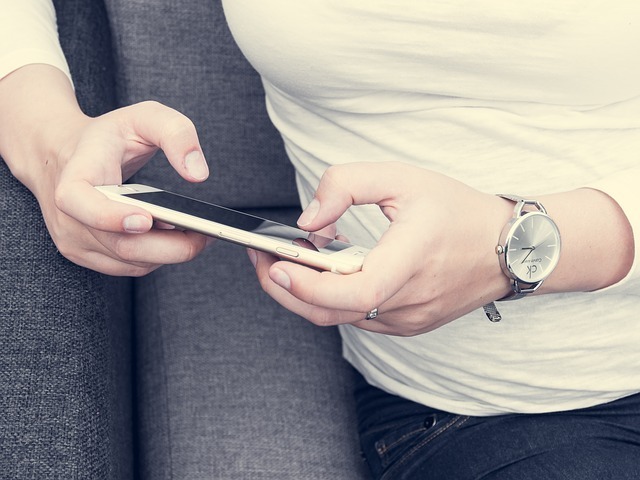 This often leads to fewer than seven percent of consumers to choose SMS as a way to connect with brands. This number could be higher with the right promotion to raise awareness. These studies and more demonstrate a demand from the consumer for businesses to offer text messaging as a way to communicate with brands. This could be for offers and deals or for customer service. Although there is a demand for this type of interaction, many businesses still hesitate to jump on board and offer a text message marketing program, or they may offer it but not adequately communicate the program with consumers. Companies that create a strong text message marketing campaign have the opportunity to stand out from the competition. Additionally, texting is a cost-effective marketing solution that can fit into almost any marketing budget, offering one way for small businesses to try to level the playing field with their larger competition. Not only is text marketing something with which consumers really do engage, it is also a powerful marketing channel with a high level of engagement, open rate, and more. By implementing a texting program, you can take advantage of the many lucrative benefits while also providing something that the consumer wants. It works well as a part of a larger marketing campaign that includes email and social media, or you can choose to use it as a stand-alone marketing channel. Either way, your company still has the potential to see a boost in business from using it. Contact us to learn more about how you can create a strong SMS marketing program to cater to the wishes of your customers. There are many different components of a successful text message marketing campaign, and one of the most essential is that your target audience finds value in the messages. This not only motivates them to sign up for your campaign but also to remain an active subscriber. One element that provides value to your campaign is exclusivity. This means that the messages, deals, and other information your subscribers receive through text can only be found through this marketing platform. Text message marketing is an opt-in marketing medium, which means that you first need to get people to sign up for your campaign before you - or they - can benefit from it. The best way to do this is to provide motivation from them to sign up for your texting program. Many companies choose to reward people for signing up with some type of coupon or offer. When this same offer is also used in another channel, the motivation loses its impact, and you lose potential subscribers. For example, if you run the same offer for signing up for emails and text messages, then your customers will choose just one way to sign up. If you have different deals, then they will be motivated to sign up for multiple campaigns. To sweeten the deal, advertise that subscribers will receive exclusive deals, offers, and information. This helps customers recognize the value of the program. One reason that your text message marketing campaign should only send out messages exclusive to the medium is that you can get people to sign up to receive messages from you on multiple platforms. 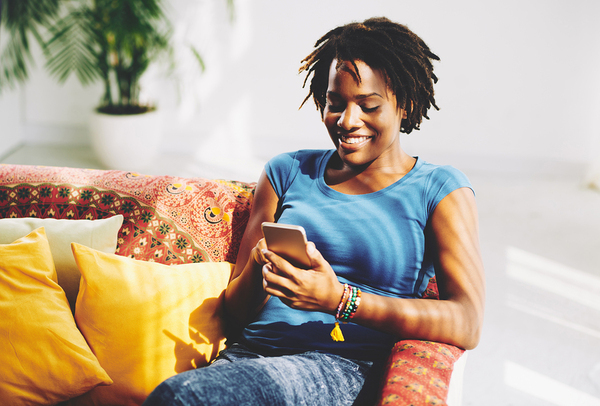 The same customer or potential customer might like you on Facebook, follow you on Twitter, sign up for your email newsletter, and opt-in to your texting program. This provides you with multiple ways to engage the same person to increase the chances of converting them from a lead to a customer. If they receive different information from each forum, they will continue to follow you on them. As soon as you start to send the same offers, deals, or other information through all channels, the customer will start to drop out of one or more of your programs. You then loose the connection with the customer, which also could lead to losing their business. Although text message marketing works well as a stand-alone marketing channel, it provides more benefits when it is fully integrated into your overall marketing strategy. This means that sometimes you may use your text messages to cross-promote another marketing campaign running on a different medium. When you do this, the information you send is no longer exclusive to the medium. However, it serves a different purpose: promoting your other marketing channels. This can be a key way to increase your subscribers' involvement and engagement in other mediums. These messages should be saved for when your campaign could really use the cross-promotion, ensuring that the majority of your text messages remain exclusive to the medium. When you use text message marketing as part of an integrated marketing strategy that also utilizes other mediums, such as print ads, digital marketing, social media accounts, and email, then it becomes even more important that the information you send to your customers is not simply a regurgitation of what they can receive from other sources. By retaining the exclusivity of the medium, its value increases, making it that much more attractive for your customers to join. Ready to start your own exclusive text messaging program to engage your customers? Try ClubTexting for free to see how it can help increase your business. Lucas Sellyn is a UX specialist with a background in digital agency project and account management. To learn more about him, visit him online at LSellyn.WordPress.com. A text message marketing campaign can expand the reach of your nightclub promotions. Are you a club owner or nightlife promoter who wants to maximize the reach of your event marketing? Are you tired of distributing expensive, inefficient flyers that simply get tossed on the ground? Are you looking to take advantage of the technological innovations that are revolutionizing event marketing in 2016? If so, you should probably be using text message or SMS marketing. Text message marketing is rapidly establishing itself as one of the most effective ways to achieve massive reach and publicity for your club or nightlife venue, while minimizing associated expenses. SMS open rates are a staggering 98% compared to only 22% for email; this is a clear indication of text messaging's potential to improve event awareness. Build community around your events by engaging your subscription list with SMS polls and contests. Subscription lists are the heart of any successful text message marketing campaign. By developing a large list of phone numbers and messaging accounts, you can quickly disseminate communications to a massive audience. A good text message marketing service will give you the tools you need to grow and maintain an unlimited list of subscribers. The ability to segment groups and features that prevent duplicate messaging make the investment in a good SMS marketing service even more worthwhile. In building a strong subscriber list, you'll want to take advantage of mobile keywords. These are unique terms that can be sent to short code numbers to communicate with you. In most cases, customers that send your designated keyword to an assigned short code will be added to your subscription list automatically. While you're developing a list of subscribers, you'll want to start engaging them with communications, contests, and promotions. Text-2-vote and mobile polling are amazing ways to involve your audience. This strategy also benefits you by providing valuable data and demographic information about consumer preferences. A good text message marketing service will magnify this benefit by providing you with analytics and visualizations that help you develop insight for greater success. One of the most popular features for nightlife promoters who rely on SMS marketing software is the ability to create mobile coupons. Mobile coupons can be offered via text to your subscriber lists. Consumers can show this coupon at the club or venue for a special discount. By adding tracking codes to these coupons, you can monitor their effectiveness, justify ROI, and better plan campaigns. 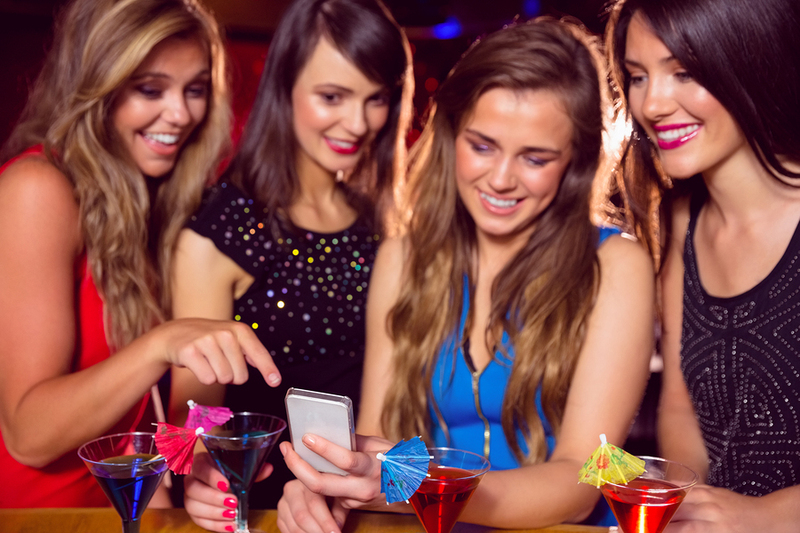 There's no doubt that text message marketing is an effective tool for nightlife establishments or club promoters to expand the reach of their marketing efforts and boost business. Text messages are read, on average, within five seconds of receipt. These high open rates mean more buzz, more consumers, and more money for your nightlife venue or business. Interested in using text message marketing to promote your nightclub business? Try ClubTexting for free! Frozen yogurt shops are a popular business. One way to help your yogurt or ice cream shop stand out from the competition is to incorporate text message marketing. 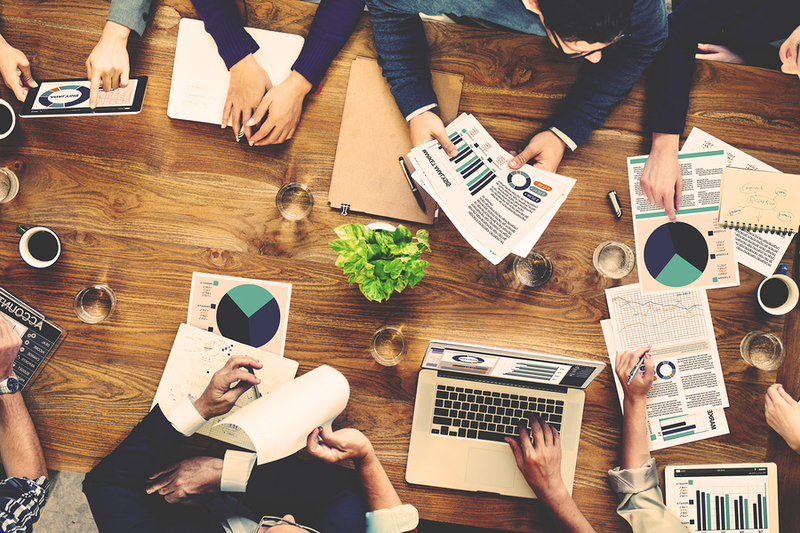 This marketing channel is highly versatile, easy to use and cost-effective, which is why many businesses, both small and large, have decided to add it to their overall marketing strategy. If you are wondering how to incorporate text messaging to give your yogurt business a boost, then try one or more of the following text message campaign ideas. Poll your customers about what flavors they want to try. 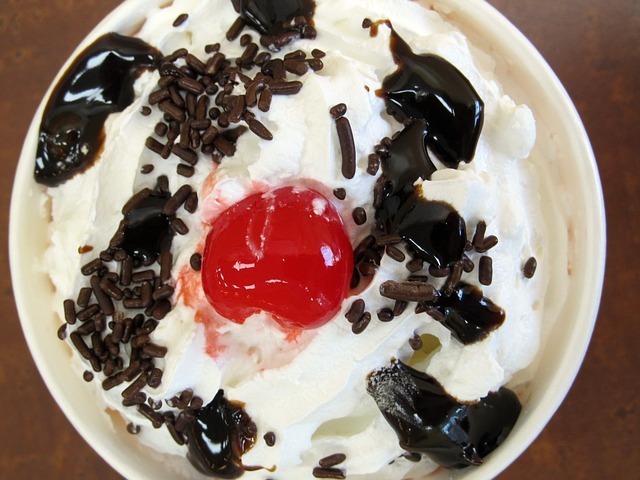 One selling point for yogurt businesses are the different, unique flavors you offer beyond your simple chocolate and vanilla. You have the opportunity to get creative with your next concoction, and you can get your customers and potential customers to help, too. Run a poll to determine which flavor to add by assigning special keywords to two or more possible flavors. Your customers simply have to text the keyword that matches their flavor of choice to vote. The keyword with the most texts wins, and you have your newest flavor. This also helps to build customer attention and engagement, which draws business during and after the poll. A popular way to incorporate text message marketing to boost business is to run a text to win contest. This type of contest is easy to run and helps you to gain more subscribers for your texting program. By marketing the contest through your regular channels, including social media, TV, radio, and print ads, you can increase the excitement about the contest, as well as widen the potential audience pool. Adding an incentive, such as a coupon just for entering, increases the number of people who join the contest. If those who join your contest also opt in to your texting program, you have a much larger pool of potential leads to convert to customers in the future. Text message marketing is the perfect forum for situational marketing, or marketing that takes advantage of a current event. Most people open a text message within just a few minutes of receipt, which means that any time-sensitive or last-minute deals will be read right away. By making a message time sensitive, you encourage customers to take action right away, increasing the potential for success of the offer. Send out offers and deals based on sporting events, holidays, the weather, or simply to increase business on a slow day. You might take advantage of an unseasonably warm day to get people to come into your yogurt shop with a special, texted coupon offer. Start a loyalty reward program that provides incentives for customers to return to your yogurt shop rather than visiting a competitor. Text message marketing provides a forum through which you can do this that is also attractive to customers. 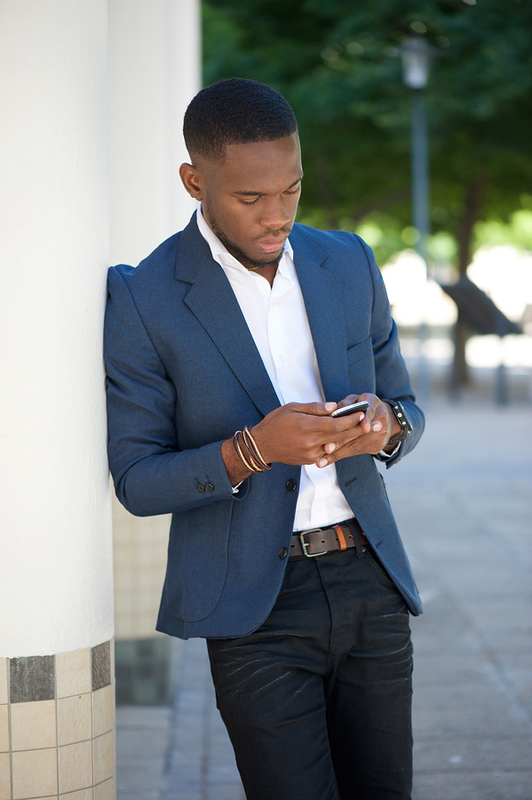 About 70 percent of consumers believe that texting is a beneficial way to get their attention. Texting services make it easy to group your customers based on demographics and behavior, so it is possible to have a group designated as your loyal customers or VIPs. Send special, exclusive discounts or other rewards to those customers to reward them for their patronage. One of the most common ways that companies incorporate text message marketing is to send out digital coupons. Many people carry their phones with them at all times, so mobile coupons have become increasingly popular and convenient. Text customers a discount or offer for your yogurt shop, and many of them will decide to take advantage of it and head to your shop. They may even do so immediately or without having planned to do so, since they do not have to print anything or otherwise worry about having to carry something additional with them. A text CTA lets your customer take immediate action wherever they see your ad. It is possible to simply include texting as a call to action as your other marketing collateral. It is a powerful call to action with a high engagement rate and high open rate. It is also easy to include on your regular ads, since you simply need to include a keyword and short code. Use a keyword that matches your advertisement to help it stand out. To further increase the success of your ads, offer customers a reward for texting back and opting into your program. There are many more ways to incorporate text message marketing to boost your yogurt business. Many of these complement one another, making it easy to create a texting program that retains its value and does not get stagnate over time. 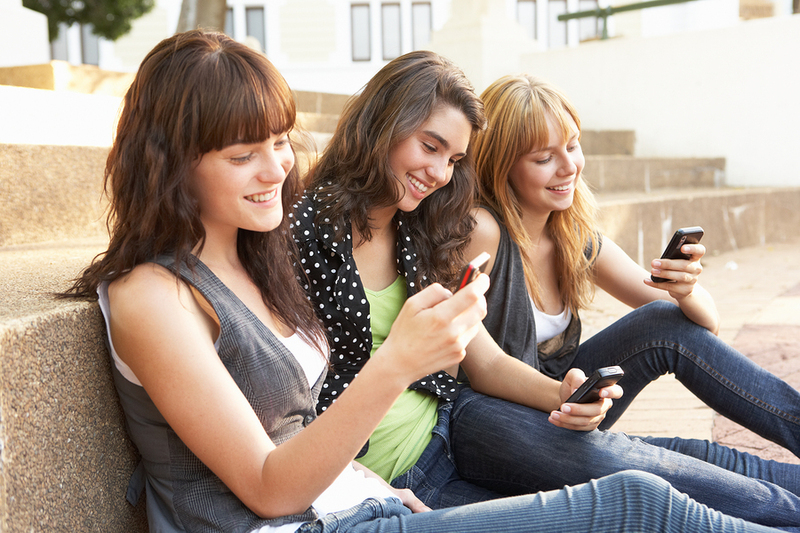 Ready to see how texting can boost your yogurt shop's business? Try ClubTexting for free. Many companies turn to SMS marketing for a cost-effective way to send offers and discounts to their customers and potential customers. This marketing channel has many lucrative benefits, but it is possible to miss out on some of these advantages by creating a lackluster coupon campaign. By using one or more of the following strategies, you can ensure that your campaign is strong and helps you to reach your business goals. To get your SMS marketing campaign up and running, it is beneficial to offer a coupon or discount as a reward for opting in. This will motivate more people to choose to sign up for your text marketing program, including those who have yet to patronize your business. You can promote your program on all your regular marketing channels by simply adding a keyword, short code or long code, and text stating the reward for opting-in. When developing your coupon program, it is important that you select the right deals to incentivize customers to actually redeem it. You want to find the right balance between providing a great deal and still making a profit. The word "FREE" can be highly attractive to consumers, but it is also possible to simply offer a percentage off an item. It is best to combine the offer with some sort of minimal purchase, especially if you are giving away something for free. SMS marketing provides you with a great forum for sending out limited-time offers. Most text messages are read within just a few minutes of receipt. This means you can send out a coupon that is good only for that day, or for a small window of time. For example, restaurants can send out a text for a lunch special an hour or two before lunch hour. Retail stores and eCommerce sites can send out exclusive flash sales that only take place during a particular time period. Because it is only available for a short period of time, people will be more motivated to take action right away. It is very important that you continue to provide value with every text you send. Otherwise, you may see your opt-out rate increasing exponentially. One way to remain relevant to your consumers is to consistently send out different deals rather than relying on the same one. If people know they are going to get a similar deal in the near future, they will not feel it is necessary to take advantage of it right away. One way to develop your strategy is to create groups of coupon types, such as pricing-based offers, time-sensitive offers, or product-based offers. Then, cycle through each category, using a slightly different offer each time or even combining some categories. You may still focus more on one particular type due to it having a more powerful response, but you still want to provide some variety. For example, pricing-based offers have about a 66 percent likelihood to trigger action compared to just a 52 percent likelihood for time-sensitive offers. Having a strong SMS marketing coupon program is not just about sending out the coupons, but it is also about redemption. You want to make it as easy as possible for your customers to redeem the coupon. Otherwise, they may opt out of the program and may even leave with a negative perception of your company. Before sending out the first coupon, be sure that you have set up your business for mobile redemption. This may mean you simply alert staff members to the program. Some businesses may choose to send special codes that need to be scanned. If that is the case, it is important that you are able to scan a phone for redemption. Sign your text, or it may lead to confusion as to the sender. One of the most important things to do in your mobile coupons, and any other messages in your SMS marketing campaign, is to always identify your company. This may seem obvious, but it is one thing that is regularly overlooked when developing the message content. You should not assume that consumers know from whom they receive a message. If there is no overt identification, they may assume it comes from a competitor or simply delete it as spam. A successful and dynamic coupon program with SMS marketing takes more than just sending out an offer and hoping your clients or customers take advantage of it. It is important to take the time to build a strategy and utilize different types of offers so that you consistently deliver something of value to your customers. If you are ready to see how mobile coupons can help your business, try ClubTexting for free. 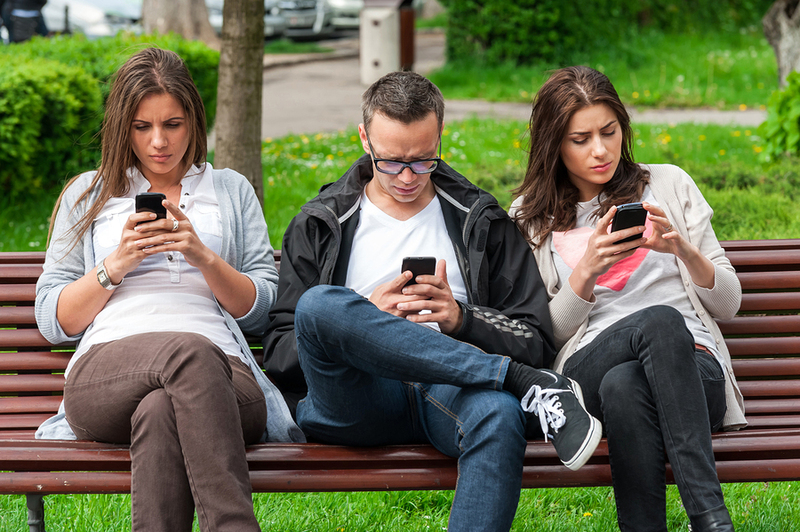 People turn to text messaging more and more often to communicate with friends, family members, businesses, local clubs and organizations, and almost anyone else. Approximately 97 percent of smartphone owners text message frequently. That number is even higher for Millennials. It has become increasingly popular for leaders of groups, including churches, schools, community organizations, and sports clubs, to turn to texting to help organize their groups. As a group leader, you have to decide not just whether or not to communicate with your members through text, but also if it is worth using a mass texting service rather than just your normal texting program through your mobile carrier. There are many reasons why it is best to use a texting platform rather than simply using text, especially if you have a group consisting of more than 10 members. It may be more cost effective to use a texting service to message your group. Working with a mass texting service rather than your phone carrier plan may be more cost-effective. Most platforms offer very low rates per text sent, so it is possible to find a monthly plan for a reasonable cost that fits your needs. This may be a better deal than trying to add unlimited texting to your carrier's plan, especially if you have a large number of people in your group to whom you plan to send the message. A mass texting service may also be faster than relying on your regular texting service. If you are sending out a message to several people at once, it can slow down your carrier's ability to send out the text. The texting platform of a company that specializes in sending group texts is designed to handle this bandwidth. It can send out multiple texts instantaneously and much faster than your regular carrier service. If you have a small group, you may find the biggest benefit in the ability to schedule messages. A mass texting service can schedule when messages are to be sent to your members. This works really well for reminders about meetings or events and other regular messages you may send out. You do not have to worry about remembering to send out the text on time. Instead, you can focus on the other aspects of planning your event. Another benefit is the capability to create multiple groups for targeted messages. You can use your contact database to develop several different groups to whom you send different messages based on your members' status and behaviors. For example, you can have one group designated for those who help you organize and plan events and another for members who simply come to events. If you do not wish to clog up your own text message inbox, it is possible to set up your texting platform to receive alerts and incoming messages through email or other channels instead. This makes it much easier for you to organize responses, including RSVPs for events. It is much easier to save the message history for when you need to review it as well. When you use your carrier's texting platform to send messages to multiple recipients, you have to decide whether or not to send the same message to each person individually, which can take time, or send it through a group message, which then leads to a group chat, of which not everyone may wish to be a part. When you use a mass texting service, you only have to write one message, select all the recipients, then send it. Everyone receives an individual message and can respond accordingly for a more personal experience. 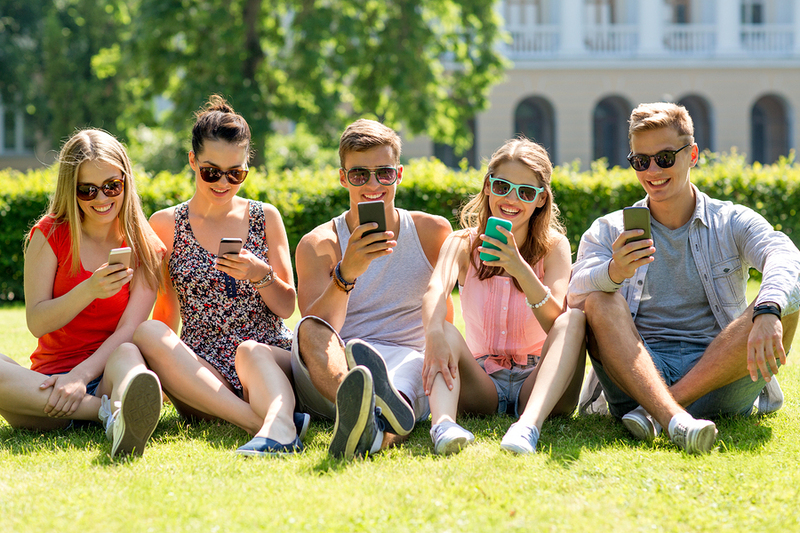 Text messaging provides many benefits for organizing your group, including ensuring that everyone receives the message with an open rate of almost 100 percent. Instead of wasting time using your own texting service on your phone, try using a group texting platform. It will save you time and help you to be more efficient in organizing events and communicating with members. Contact us to learn more about how to use group texting for your organization. Atim Ukoh is the Social Media Specialist at global brand protection firm Sproxil, where she manages digital communications for the company globally. Sproxil was created as a response to the increasing death rate of individuals in emerging markets as a result of counterfeit products. Founder Ashifi Gogo had experienced the prevalence of counterfeit drugs growing up in Ghana and decided to create a solution to target this problem. How common are counterfeit goods today? The penetration of counterfeit goods in both emerging and developing markets has increased significantly over the years. In some countries, counterfeit goods are present in open markets in higher volumes than the original products. What do you think would surprise both business owners and consumers alike about the counterfeit market today? The counterfeit market has become more sophisticated with time. The counterfeiters are getting clever about how they reproduce these products. Some replicate these goods so well to the point that even employees at the company that produce the original products have a hard time differentiating genuine from fake. What's the impact of the proliferation of counterfeit goods? What are the risks to consumers of purchasing counterfeit items? Over 700,000 people die every year from taking counterfeit medicines. That's equivalent to four fully packed jumbo jets crashing every day! Consumers are likely to develop short- and long-term health issues from consumption of these products. They lose money from the purchase of these items. How can mobile technology be used by consumers to combat counterfeiting? Mobile technology empowers the consumer to combat counterfeiting by providing an easy verification method to ensure they are purchasing genuine products. The Sproxil solution enables the consumer to text a unique pin provided on the product they are purchasing to a short code and they receive a response verifying that their product is genuine. 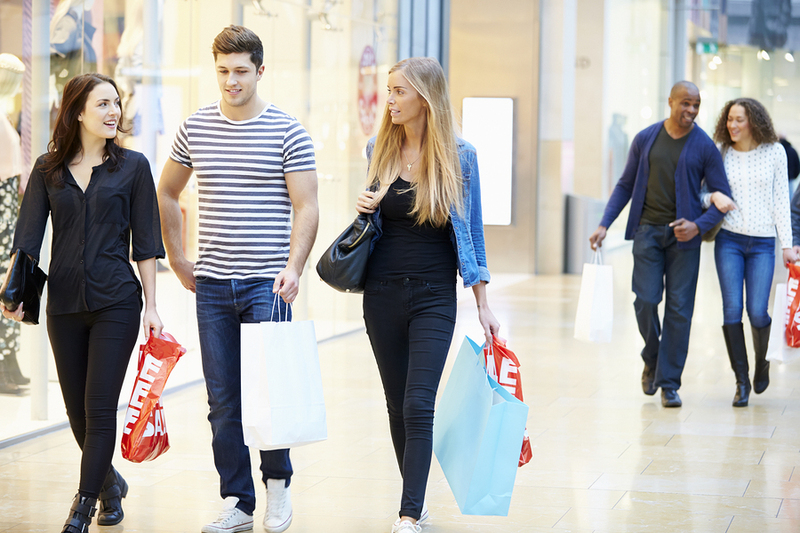 What are some ways consumers can use their phones/tablets to protect themselves when shopping? Consumers should use their phones to verify that their products are genuine by engaging with the code provided to verify their product. They can also download the Sproxil App and use this to verify if their product is genuine. 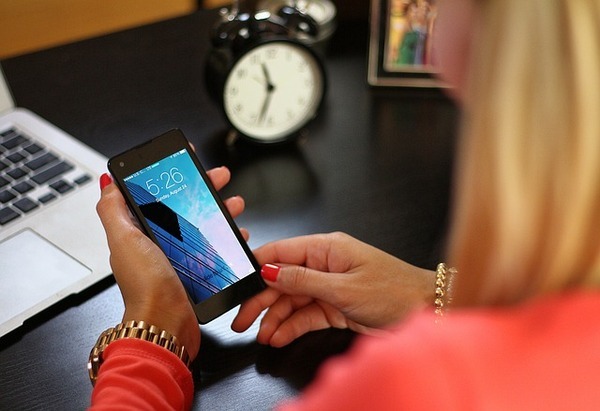 What should businesses be doing to protect consumers using mobile technology? Businesses need to understand that for the consumer to engage and enable them combat counterfeiting, they need to also take the right steps to make the process easier. Businesses need to implement the right mobile technology in their current supply chain that would eliminate counterfeit infiltration. Once they install the labels or pins on their products, they can also track when their products leave their factory until it gets into their consumers hands. This helps improve the engagement they have with consumers as the consumers are now sure that they are consuming protected products and the brand cares about them. What's one of your favorite success stories for how mobile technology has been used to protect consumers? There are many interesting stories of how the Sproxil Solution has saved lives. Our favorite is with one of our clients who produces anti-malarial drugs. Using the Sproxil solution, we were able to intercept stolen goods in their supply chain before they got to the retailers. We traced the goods to the counterfeiter's location and were able to engage law enforcement to handle the matter appropriately. This saved thousands of lives that would have consumed those products that they were about to alter and replicate. Reach more customers with our mobile solutions. Try ClubTexting for free.